San Juan Capistrano and Dana Point will each be the site of a high-profile album release party this weekend. 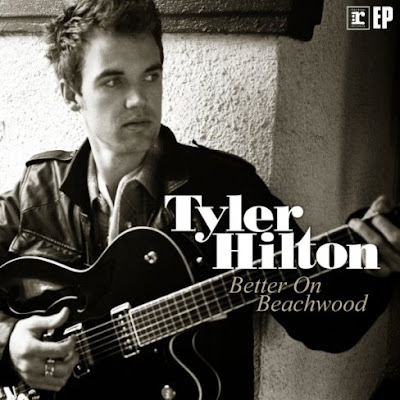 Singer-songwriter Tyler Hilton will kick off his tour in support of “Better on Beachwood” with a show at the Coach House on Thursday night, May 28, while Orange County-based jump blues outfit 2000 Lbs Of Blues will celebrate the release of “Soul of a Sinner” with a show at Renaissance Dana Point on May 30. A native of Palm Springs, Hilton is the rare young artist – he is only 25 – who is already a celebrated musician and actor. Hilton will perform on a bill with Terra Naomi and Danny Maika at the Coach House, 33157 Camino Capistrano, San Juan Capistrano, at 8 p.m. on May 28. As one of the best-known blues bands in Orange County since the 1980s, the Mike Arguello-led 2000 Lbs of Blues is offering up somewhat of a different sonic approach on the forthcoming “Soul of a Sinner” disc. Although jump blues will continue to be the backbone of the troupe’s sound, Arguello said that he is stretching his musical muscle and songwriting abilities with something that is a bit edgier and darker than his previous three albums. Of the 13 songs on the album, 12 are original tunes that range from harmonica-anchored blues to funky rockers and a Latin jazz-styled track. Among the artists joining singer-guitarist Arguello on “Soul of a Sinner” are famed guitarist Kirk “Eli” Fletcher (of Fabulous Thunderbirds fame), harmonica player Eric Von Herzer (Social Distortion, Walter Trout) and drummer Tom Fillman (Spencer Davis Band). 2000 Lbs of Blues will perform at Renaissance Dana Point, 24701 Del Prado, Dana Point, at 8 p.m. on May 30. My inbox has been flooded in recent days with several noteworthy DVD/Blu-Ray and CD collections set for release over the next few months. Read on to hear about upcoming releases from B.B. King, The Rolling Stones and Hot Club of Cowtown. New York, NY (May 27, 2009)—Eagle Vision, the wholly-own subsidiary of Eagle Rock Entertainment, will release the legendary king of the blues, B.B. 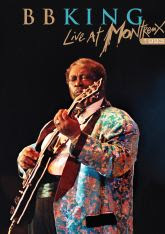 King, Live At Montreux 1993, on Blu-Ray disc and DVD on June 2 (DVD retail sales price $14.98, Blu-Ray retail sales price $24.98). The 17-song, 99-minute set features the then 68-year old Mississippi Blues Boy in rare form, feeding off the palpable crowd love, singing his heart out and bending those notes on ol’ Lucille, making her cry and moan. With his smokin’-hot bigband behind him punctuating every wiggle of his ample torso with staccato horn blasts, B.B. spans the gamut of blues from jump-blues and barrelhouse boogie to the kind of dramatic balladry that wrings out every last teardrop of emotion. A special Blu-Ray exclusive features three tracks from King’s triumphant 2006 Montreux appearance: “Why I Sing The Blues,” “When Love Comes To Town” and “Guess Who.” B.B. King has, since 1949, recorded some of the greatest blues ever put to wax. With over 50 albums to his credit, he’s come from busking on the streets to being one of the most internationally beloved names in all of entertainment. He hitchhiked to Memphis as a teenager where he was tutored by his cousin, blues legend Bukka White. After Sonny Boy Williamson gave him his start on the radio, B.B. toured the south, naming his guitar Lucille after a woman who was the cause of a fight and an arson in Twist, Arkansas (where B.B. went running into the burning building to save his beloved guitar). New York, NY (May 26, 2009) – Universal Music Group have confirmed details of the third and final installment in the reissues of the re-mastered, post 1971 studio albums by The Rolling Stones. Dirty Work, Steel Wheels, Voodoo Lounge, Bridges To Babylon and A Bigger Bang, released July 14, 2009, complete the trilogy of reissued albums, which started in May with the re-appearance of the legendary Sticky Fingers, Goats Head Soup, It’s Only Rock’n’Roll and Black And Blue and Some Girls, Emotional Rescue, Tattoo You and Undercover in June. A rousing cover of Bob & Earl’s Harlem Shuffle, with Jagger’s distinctive vocals to the fore, heralded the arrival of Dirty Work. This single made the Top 5 on both sides of the Atlantic in 1986. Produced by Steve Lillywhite and the Glimmer Twins, the album was dedicated to the memory of Ian Stewart, the group’s original piano player and unofficial sixth member, who died the previous year. The release of Steel Wheels in 1989 followed the group’s induction into the Rock and Roll Hall Of Fame and coincided with their eagerly-awaited return to the live arena. Recorded at Air Studios in Montserrat and Olympic in London, it made the Top 3 in Britain and in the States. It contains classic tracks like the US Top 5 single Mixed Emotions as well as Rock And A Hard Place, which boasts a trademark riff as infectious as any they’ve come up with. The incredibly atmospheric Almost Hear You Sigh also charted while Richards often reprises the ballad Slipping Away in concert. Recorded in Dublin and in Los Angeles, and produced by Don Was, Voodoo Lounge topped the British charts on its release in 1994. The rockers Love Is Strong – featuring Jagger on harmonica – You Got Me Rocking and I Go Wild all performed strongly in the UK Top 40, while Out Of Tears continued the group’s fine tradition of late-night, soul-searching, soul-infused ballads and featured a killer vocal performance by Jagger. The singer also excelled on the equally contemplative Blinded By Rainbows, a forgotten gem in their repertoire, and the swaggering Sparks Will Fly, driven by the ever-excellent Charlie Watts on drums. Voodoo Lounge deservedly won the Grammy Award for Best Rock Album in 1995. Originally issued in 1997, Bridges To Babylon made the Top 3 in the US and number 6 in the UK. The yearning and sinuous Anybody Seen My Baby? and the mean and moody Saint Of Me – both Top 30 hits in the UK – in particular, showed the band remained at the cutting edge. Energetic rockers Low Down and Too Tight repay further investigation as do the three tracks sung by Richards, in particular the closer How Can I Stop which features another jazz legend, Wayne Shorter, on saxophone. A Bigger Bang, the Rolling Stones last studio album to date, made the Top 3 on both sides of the Atlantic in 2005. Its release coincided with the group’s longest ever world tour, lasting two years, a feat likely to remain unbeaten by any other rock artist. Recorded mostly in France, it recalls the informal vibe of Exile On Main Street and has sold in excess of 2.5 million copies to date. A double A-side single coupling the rocker Rough Justice and Streets Of Love, another superior soulful ballad, reached number 15 in the UK, while the Bush-baiting Sweet Neo Con made headlines in the US.. A Bigger Bang more than lived up to its title. These albums will be re-mastered and all retain the original track listings and sleeve design. Fans will have the option of purchasing a collector’s box in which to house all 14 studio albums. The catalogue will also be available digitally. The classic album Exile on Main Street will also be released in early 2010 by UMG as part of wider plans for this title. Internationally renowned swing/pop trio Hot Club of Cowtown is set to release their first new album, "Wishful Thinking" on Tuesday, August 18, 2009. From the bright lights of the Grand Ol’ Opry to the UK’s Glastonbury Festival, to regular appearances on Prairie Home Companion and festival stages worldwide, The Hot Club of Cowtown has ascended from its unlikely beginnings in NYC’s East Village nearly a decade ago to become the premier ambassador of hot jazz and Western swing through sheer tenacity, virtuosity and the unstoppable power of their breathtaking live show. 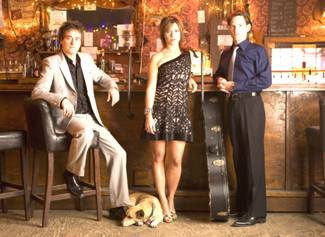 On "Wishful Thinking," set for release August 18 (Thirty Tigers), we find the core group of Elana James (fiddle, vocals), Whit Smith (guitar, vocals) and upright bassist (Jake Erwin) reunited for their first new album in five years. Infusing their songwriting with a colorful montage of characters and perspectives, Wishful Thinking shows the band deftly embracing disparate influences – from the combustible "Can't Go on this Way," by Texas swing master Bob Wills – to the minor key gypsy violin line and longing chorus of "Reunion." The music here is elegant and imaginative: Elana’s spring-fingered violin solos and Whit's effortless, liquid guitar lines are propelled by Jake’s driving percussive upright bass. Across the entire album, there is a palpable sense of both genuine excitement and the keening longing expressed in ballads: Hoagy Carmichael’s “Georgia,” sung by Whit, and the album’s gorgeous closer, Elana’s "little girl lost" turn at George and Ira Gershwin’s “Someone to Watch Over Me.” Whit’s original, “Carry Me Close,” is a song of loss and regret that echoes the classic feel of Appalachian mountain ballads. "Wishful Thinking" is also the first-ever HCCT record with drums, courtesy of Damien Llanes. The new pulse is evident on songs like “Cabiria,” inspired by one of Fellini's most famous characters, whose noir sophistication could land it on the soundtrack of a European art film as easily as late-night country radio. The shuffling brushwork on “Heart of Romain” is Elana's homage to French film actor Romain Duris and the films of Tony Gatlif and captures the musical sophistication and sizzle of Stephene Grappelli and Django Reinhardt’s Quintette du Hot Club de France. Lauded on NPR, darlings of international stages from Japan's Fuji Rock Festival to the Stagecoach and all points in between, HCCT began as a combustible trio playing traditional music but began to develop its own sound through invitations to collaborate, tour with, and work alongside more contemporary artists. The trio was hired (and survived) tours with Bob Dylan and Willie Nelson, first opening for them then playing with them: Elana, a classically trained violinist and the legitimate heir to the great tradition of Western swing which she learned firsthand horse wrangling and working with Texas fiddle masters (and a few stolen encounters with traveling Romany fiddlers), became the first dedicated female instrumentalist to tour in Bob Dylan’s band in over 30 years. An invitation from Bryan Ferry for HCCT to reinterpret his material coaxed the band into the modern mainstream. Rachel Ray put them in her cookbook! Their appearances at mega-festivals from Byron Bay (Australia) to Fuji Rock (Japan) to Glastonbury (UK), and performances on Jools Holland’s TV show, "Later,” have brought the band international acclaim and a little closer to the millions waiting to fall in love with their music. HCCT has taken a traditional idiom, dusted it off, transfigured it, and reinterpreted it on its own terms. The music is blazing, modern, and has more energy than ever. HCCT is currently touring the UK for Wishful Thinking (released May 4 in Europe and the UK). The band is amassing daily 4-star reviews for their live tour dates, including The Guardian and The Independent, complemented by five sessions on BBC radio. HCCT will be alternately touring the US and abroad through the end of 2009 and well into 2010. 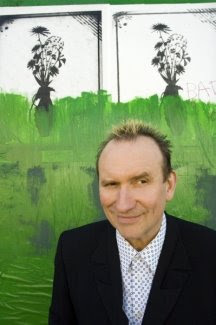 Although Colin Hay is best known as the frontman and principal songwriter of '80s Australian rock outfit Men at Work, he has found a large and loyal audience via a long series of solo releases. Now, Nashville-based Compass Records has reissued one of the strongest albums of his career, 1998's "Transcendental Highway," which included the hit "I Just Don't Think I'll Ever Get Over You," featured on the soundtrack of the movie "Garden State." The album, produced by Dan Rothchild, finds Hay's distinctive and emotive voice tackling everything from the Internet frontier of the mid-1990s ("Transcendental Highway") and loss ("If I Go," "Goodbye My Red Rose") to his own roller-coaster music career ("My Brilliant Feat"). Hay will perform at 8 p.m. Saturday, May 23, 2009 at The Coach House, 33157 Camino Capistrano, San Juan Capistrano. In addition to selections from "Transcendental Highway," he'll likely perform material from his most recent album, 2007's "Are You Lookin' At Me?" and Men at Work hits such as "Who Can It Be Now?" and "Down Under." Appearing on the bill with Hay will be Marcus Eaton and Saint John and the Revelations. Information: 949-496-8930. Imagine the poor concert-goer who didn't bother to show up early on Sunday morning, May 17, to catch the early part of day 2 at the 12th Annual Doheny Blues Festival. 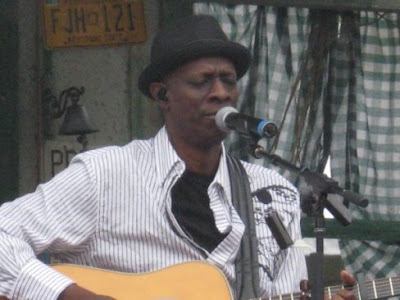 After all, Keb' Mo' (seen here in a photo I took that morning) performed an hourlong solo acoustic show on the Backporch Stage that allowed fans to get up close to the singer-songwriter. Performing a 13-song set comprised mostly of requests from the large and enthusiastic audience packed around the small stage, the Los Angeles native used a number of different guitars and a harmonica, and chatted with the audience and told stories in an intimate setting rarely afforded the artist. From the unprompted clap-along as he performed "Angelina" and gorgeous "Victims of Comfort," Keb' Mo's Sunday morning performance will long rank as one of my favorite sets in the long and strong history of the blues fest. His beautiful performance of "Just Like You," humorous "Keep It Simple" and love song for blues music, "Prosperity Blues," all were delivered wonderfully. Throughout the day ahead, more magic followed. Coco Montoya, armed with a big and authentic voice and fiery guitar chops to match, unleashed high-powered electric rock blues on the Renaissance Stage, including "Last Dirty Deal," with his voice recalling the soulful delivery of Robert Cray. Anyone familiar with singer-guitarist Tommy Castro already knows the guy can tear it up on lead guitar and has a convincing voice capable of singing with force. Performing with his Legendary R&B Revue, Castro's past appearances in Dana Point and at the nearby Coach House were bested Sunday as he teamed with an ensemble that included two horn players and the guest vocals of singer Janiva Magness. I caught a good deal of the set, and Magness's lead vocals on "Workin' on Me Baby" were enhanced by Castro's backing vocals. Although there were also solid performances from Phillip Walker and the Hollywood Blue Flames (with Kirk "Eli" Fletcher" always a joy to watch as he plays guitar), as well as a high-energy set of Cajun music on the Renaissance stage in the early afternoon, the evening was not to be missed. The Derek Trucks Band is simply incredible, with the 29-year-old Trucks a master of a style of guitar in which he uses a slide to achieve both melodic and textured sounds. From the beginning of his band's 90-minute set, he played with a kind of sonic explosiveness that exceeds conventional guitarists who play fast while sacrificing an audience's emotional desire to actually connect with the songs. On Sunday, Trucks and the other members of his band undoubtedly made countless new fans with a powerful display. Legendary singer-guitarist Elvin Bishop joined the band on stage for one song, with both Trucks and Bishop playing slide guitar in tandem for a historic performance, while the Derek Trucks Band's members showcased songcraft and growing artistry with a performance of "Get What You Deserve." Trucks' technique was a perfect fit for the Doheny fest; for those who wanted to get lost in the intensity, the band thrills. For those who wanted to hang back, it has an equally magical impact. Omega Events has continued to find ways to expand the reach of audiences by booking classic artists, and new names that promise to take the blues into the 21st century. So the decision to book the Derek Trucks Band and have Sharon Jones and the Dap-Kings follow was welcome for lovers of new music. Jones and her eight-member Dap-Kings were fuel for those who wanted to get close in front of the Renaissance Stage and move to her infectious and accessible blend of Motown, jazz, blues and R&B. An arresting performer, Jones danced up a storm while delivering spot-on vocals for 70 minutes. She ended her set with a powerful "100 Days, 100 Nights." Closing the night was B.B. King. For anyone who has seen the legendary artist, his show has not changed much in recent years. But at 83, his guitar skills are intact and his baritone continues to thrill. And something always seems right with the world when King is on stage, playing his distinctive Lucille with his top-notch band playing around him. His performance to finish things off was highlighted by "Let the Good Times Roll" and night-ending "The Thrill Is Gone." 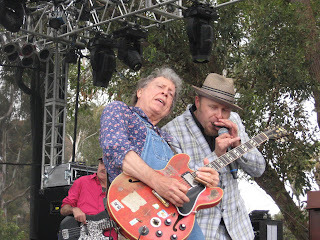 It was great for me to finally catch Elvin Bishop and John Németh in concert this past Saturday. Enjoy this photo I took during their set at Doheny Blues Fest on May 16, 2009. You can read more about their set in a review that will follow this post. 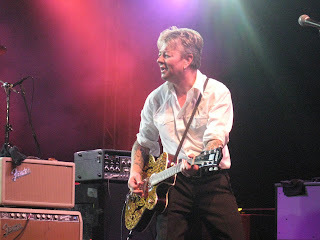 This post includes my review of day 1 of the 12th Annual Doheny Blues Festival (May 16, 2009), and I've included my favorite photo I took of Brian Setzer, seen here tearing it up on his Gretsch guitar. Another post will feature a number of shots I took on day 1 for you to see. The biggest challenge for listeners attending Saturday's first half of the 12th annual Doheny Blues Festival on Saturday, May 16, 2009, was how best to squeeze in breaks during the 10-hour run of nonstop music on three stages. With a bill boasting a dozen artists – not counting Gregg Young's appearance outside the main gate before the doors opened – it was physically impossible to catch every note. But that's a good dilemma to have when the performances are as strong as those of the 10 artists I had a chance to catch in Dana Point. Fans of the Stray Cats may be out of luck in terms of catching that classic trio this summer, but the rockabilly faithful were treated to the next best thing via Brian Setzer & the Nashvillains' headlining an 80-minute set on the Doheny Stage. Opening with the one-two punch of "Red Hot" and "This Cat's on a Hot Tin Roof," singer-guitarist Setzer and his outfit proceeded to tear through 19 songs that included newer originals as well as classic rockabilly staples and reworked Stray Cats hits. While Setzer has never been known for top-tier vocals, the guy sure can play guitar. Just about every selection allowed him room to amaze the packed crowd with his fretwork. "Peroxide Blonde in a Hopped up Model Ford," "Slow Down" and the night-ending "Rumble in Brighton" were all standouts. The lengthy concert also provided stand-up bassist Ronnie Crutcher and pianist Robbie Chevrier spotlights to display their strong chops. As entertaining as Setzer was, his wasn't the best set of the day. Several others outdistanced it thanks to artistic ambition or sheer will. Grace Potter and the Nocturnals might not be the usual choice to appear at a blues fest, but the young Vermont outfit's winning mix of blues, R&B, classic- and roots-rock, gospel and soul impressed mightily during a 75-minute set on the Renaissance Stage. Potter, 25, is a charismatic singer backed by a revamped lineup making its first-ever public appearance. Although longtime lead guitarist Scott Tournet and drummer Matt Burr remain with the Nocturnals, bassist Catherine Pepper and rhythm guitarist Benny Yurco proved they are the perfect fit for the band. Going back and forth from her mic at center stage to the seat behind her Hammond B3 organ, Potter led the crowd through a musical world that somehow blended the magic of Bonnie Raitt, Lucinda Williams, Neil Young & Crazy Horse, Joni Mitchell and Etta James without sounding anything close to those legendary names. Several selections from the band's 2007 album "This Is Somewhere" easily replicated the joy of that recording, including "Ah Mary," "Apologies" and "Stop the Bus." Elvin Bishop didn't have mighty soul singer John Németh join him on stage until an hour into his 75-minute set, but Bishop's entire performance was great. His loose, casual style of singing and smiling and playfully interacting with his band was the perfect sonic stew for the afternoon. Highlights of Bishop's set included his signature hit "Fooled Around and Fell In Love," bolstered by emotive slide guitar work, as well as his collaboration with Németh, who provided guest vocals and strong harmonica firepower on "Night Time Is the Right Time." Any overview of my Day 1 has to include the strong early set by the 44's, an electric blues band that kicked off the action with a set of Chicago blues crossed with primal rock 'n' roll. Another early offering featured piano man Taryn Donath tearing through some boogie-woogie on the Backporch Stage with a drummer and sax player. Better yet was John Hammond thrilling a packed and rapt crowd packed in around the Backporch with his acoustic, Mississippi-style delivery of originals and classics by Howlin' Wolf and Buddy Guy. Keb' Mo' again proved that his art appeals to both blues purists and those who enjoy the accessible side of the genre, while hometown heroes Big Sandy & the Fly-Rite Boys played that their mix of Western swing, rockabilly and Buddy Holly-esque rock 'n' roll that included the upbeat "It's Time" and "Love That Man." This review was first posted on the Soundcheck music blog on May 16, 2009. 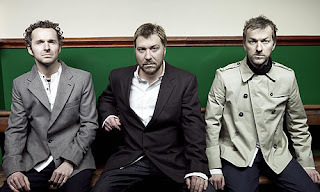 When it comes to England’s Doves, it’s best to drop any natural impulse to compare the Britpop trio with Radiohead, Travis, Coldplay, Snow Patrol, Oasis or any of a number of outfits from the other side of the Atlantic. As evidenced by the group’s 90-minute set at House of Blues Anaheim on Friday night, May 15, 2009, singer-bassist Jimi Goodwin, guitarist-vocalist Jez Williams and drummer Andy Williams continue to be as inventive, interesting and talented as their better-known musical counterparts. While songs such as “Jetstream” and “Winter Hill” -– both off the band’s latest album, Kingdom of Rust –- are accessible and melodic, there are also dense layers of sound and incredible arrangements that fully come across despite the obvious challenges of playing in front of an enthusiastic, capacity crowd. The country-western rhythm that propels Kingdom’s title cut and the hard-edged attack of “The Outsider” are obvious illustrations of Doves’ wide-ranging approach, and the simultaneously eerie and artful atmospherics worked as well live as they do in the recording studio. Keane lead vocalist Tom Chaplin, photographed by Tony Sanchez, performed at the Grove of Anaheim on May 10, 2009. Story and photo originally posted on the Orange County Register Web site on May 11, 2009. Before catching Keane at the Grove of Anaheim on Sunday night, May 10, 2009, I hadn't seen the British band since a show at the Greek Theater on September 30, 2005. Back then, the young trio was riding high after an impressive performance on the main stage at Coachella a few months earlier. In addition, the group's full-length debut "Hopes and Fears" was an immediate commercial success; indeed the album has gone on to sell more than 5.5 million copies around the world since its release in 2004. But when lead singer Tom Chaplin announced he was admitting himself for treatment resulting from alcohol- and drug-related use in summer 2006, the future of the band seemed in doubt. Fast forward to Keane's tremendous and rousing show at the Grove of Anaheim on Mother's Day. Performing the best material off all three of their full-length albums, Chaplin, keyboardist Tim Rice-Oxley, drummer Richard Hughes and touring bassist Jesse Quin (who was also featured on the band's 2008 disc "Perfect Symmetry") hit all the right notes across a blazing 90-minute set before a near-capacity crowd. From its earliest days, Keane could effectively unleash powerful rock celebrations wrapped in big choruses, with Chaplin's amazing tenor soaring over propulsive songs such as "Bend and Break." While Chaplin's voice is still the most lethal weapon in Keane's arsenal, artful arrangements and dynamic songcraft – combined with the instinctive ability of the band to connect with the crowd – lifted this concert to loftier heights than the first times I caught Keane four years ago. There is no denying the power of "Bedshaped," the affecting song that has long served as an effective closer at Keane performances and hit home again this time. However, this 18-song set was enhanced by the wide-ranging set list featuring songs from 2006's "Under the Iron Sea" and 2008's "Perfect Symmetry." Chief among the highlights was the night-opening "The Lovers Are Losing," a particularly sonically-dark "A Bad Dream" and beautiful acoustic-styled "Try Again." "This is our first time in Anaheim. Thank you Orange County," Chaplin said in introducing "Again and Again," a '80s-styled dance rocker where he got to showcase his growing skills on guitar. In performing "Perfect Symmetry," the singer approached the audience and was embraced by countless hands as he sang the lyric "Wrap yourself around me" as if it had been choreographed – one of many magic moments that resulted from the energy between the crowd and band this night. Two other points in the night were standouts I won't soon forget: "Somewhere Only We Know" buoyed by the kind of joyous sing-along usually reserved for vets like Paul McCartney and U2, and the regular set-ending selection "Crystal Ball" with a strobe light blasting as the crowd clapped rapid fire and Keane played at full volume. Of the two opening acts on the bill, the Portland-based duo the Helio Sequence turned in the better and more memorable set. Singer-guitarist Brandon Summers and fiery drummer-keyboardist Benjamin Weikel showcased their blend of accessible and driving electro-tinged rock via gems such as "Shed Your Love" and "Keep Your Eyes Ahead." The song "Lately" recalled "Joshua Tree"-era U2 with effects-heavy guitar and Summers' towering vocals. Nashville-based singer-guitarist Mat Kearney and his backing quartet turned in a pleasing, but somewhat conventional 40-minute set of singer-songwriter folk-rock. His radio-friendly material included the melodic "Fire & Rain," urgent "Crashing Down" and popular new single, the tuneful "Closer to Love." 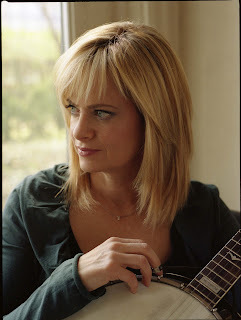 For anyone under the misconception that the banjo is an instrument used only in bluegrass music, it's best to catch Alison Brown when she performs with her quartet in San Juan Capistrano on May 16, 2009. The banjo virtuoso will perform as part of the Music at the Library concert series at 6:30 p.m. and again at 8:30 p.m. at the San Juan Capistrano Regional Library. Brown, who grew up in the San Diego area and graduated from La Jolla High School, is considered one of the best banjo players on the planet. And while it was bluegrass music that inspired a 10-year-old Brown to pick up the instrument in the early 1970s, today she blends jazz, Americana, folk and Celtic styles together in a sonic brew that is as groundbreaking as it is beautiful. She comes to Orange County in the wake of the April 9 release of "The Company You Keep," her tenth full-length release. The title is actually an acknowledgment of several areas of her professional life. "It has a two-fold purpose," Brown said in a recent interview, where she spoke by phone from her home in Nashville, Tenn.
"The first thing I was thinking about was just wanting to do an album that brought the members of the quartet to the forefront just because the guys I am playing with have been on this musical journey with me from the beginning, basically from the first gig I did. And pianist John R. Burr in particular just brings an incredible gift to this music. I mean, my music would not be the same as it is now if I hadn't been playing with John all these years. I'm sure you can tell from listening to the record, he has great jazz chops but a wonderful folk sensibility, and we started playing together in 1993 – that's 16 years now. I can't believe it." In addition to Brown and pianist John R. Burr, the rest of the quartet features bassist Garry West and fiddler-mandolin player-percussionist Joe Craven. The second layer in the title of "The Company You Keep" addresses Compass Records. The independent record label was launched by Brown and West (the couple are married and have two young children) in 1995 and has released hundreds of albums by celebrated artists, including Colin Hay (Men at Work), the Bittersweets, Beoga, the Gibson Brothers and Bearfoot. Brown admits that balancing the duties as band leader, record label executive and mother can be challenging. "I think the way I juggle my work is the same way that any mom juggles her work," Brown explained. "And I've found that the way that seems to work best for me is that some days are more about being at the office and other days are more on the road and it's all about the music. But it is a completely different time from when I could just sit down with my banjo anytime I wanted and write a tune or just kind of daydream and play. I don't really get to do that anymore." But listening to Brown's latest album, and the beautiful work she displays on the Celtic-flavored "Drawing Down the Moon" and jazz-styled "Rocket Summer," it's easy to hear why Brown continues to make time to champion the banjo. "It's a challenging instrument just because most people insist on thinking it has to be like 'Hee Haw' and bank robbery music and car chase music," Brown said. "It's just a perpetual challenge that we (banjo players) face. They (some listeners) don't recognize or they are reluctant to buy into the idea that the banjo has a long history in lots of different kinds of music and there is no reason why it can't play lots of different kinds of music, and there is absolutely no reason to be afraid of the banjo." For more information on Brown's upcoming shows, visit http://www.musicatthelibrary.com/ or call the San Juan Capistrano Regional Library at 949-493-1752. 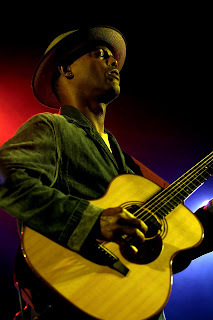 Eric Bibb has been performing and impressing audiences for most of his life. The New York native is the son of singer Leon Bibb and the nephew of jazz pianist-composer John Lewis of the Modern Jazz Quartet. Not many youngsters grow up in a household where regular visitors include the likes of Pete Seeger, Odetta and Paul Robeson. Bibb’s childhood captivation with music has continued to pay creative dividends in his adult career. Since the release of his 1997 album “Good Stuff,” Bibb has found a growing audience for his blend of blues, gospel and soul music. He has completed studio recordings with some of his heroes (Taj Mahal, Mavis Staples, Charlie Musselwhite) and toured with Robert Cray and Robben Ford. Bibb even opened for Ray Charles at a concert in summer 2002. Local audiences have two chances to catch Bibb when he performs as part of the Music at the Library concert series in San Juan Capistrano, playing shows at 6:30 and 8:30 p.m. on May 9. Recorded in Nashville and Stockholm, Sweden, “Get Onboard” features both Raitt and Ruthie Foster as well as a talented band including keyboardist Glen Scott, guitarist-bassist Tommy Sims and drummer Lemar Carter. Bibb was recently nominated as International Artist of the Year as part of the Maple Blues Awards, with Bibb named in the top-notch company of James Hunter, Staples, Taj Mahal and Watermelon Slim and the Workers. For those planning on attending the Doheny Blues Festival in Dana Point on May 16 and 17, the upcoming Bibb concerts should definitely set the right tone. (Los Angeles, CA) Daughtry will debut “No Surprise,” the first single from the band’s second album, during the Wednesday, May 6 episode of "American Idol." It is the first track from their 19 Recordings/RCA July 14 release. Daughtry is currently in the studio finishing the yet to be titled album, which follows the band’s GRAMMY-nominated, quadruple-platinum debut. “American Idol fans have been so loyal to this band, we wanted to give them the first listen to our new single,” says singer Chris Daughtry. Daughtry, bassist Josh Paul, drummer Joey Barnes, and guitarists Brian Craddock and Josh Steely recorded the new album’s 10-plus songs in Los Angeles. Boasting a more gritty sound, the new album features a band sharpened by two years on the road, where they’ve graduated from clubs and theaters to opening arenas for Nickelback and Bon Jovi. The new album follows the runaway success of Daughtry’s 2006 debut, which scored three #1 songs and was the biggest-selling artist release for two years running. The accolades garnered by Daughtry include multiple wins at the American Music Awards, the World Music Awards and the Billboard Music Awards. Active in the fight against global poverty and disease, Daughtry supports the ONE Campaign. Last year, the band performed at both political conventions to raise awareness for the ONE Campaign and encourage first-time voters. Review: He and his band kick off a national tour with a blend of 'American Idol' fever and melodic post-grunge. For the millions of viewers who watched strong-voiced rocker Chris Daughtry shine throughout "American Idol" last season, then get eliminated despite being widely viewed as the likely winner, there is a happy ending to the story. The 27-year-old singer-songwriter was signed by RCA Records, released an album of mostly original material in November 2006 that quickly went platinum, and kicked off a national club tour with an impressive concert before an adoring capacity crowd at House of Blues in Anaheim on Sunday night. The North Carolina native led his quintet, named simply DAUGHTRY, through an 11-song set that displayed his "American Idol" vocal firepower, similarly showcased on his 12-song debut. The band's accessible, modern post-grunge brew, which draws easy comparisons to Three Doors Down, Creed and "Throwing Copper"-era Live, pleased just about everyone. Added to that was Daughtry's authentic and likable persona, which drew screams from the younger members of the audience and near-universal strong applause throughout his hour-long set. The good news for those hoping he might have more than 15 minutes of fame is that the band proved itself able to propel the melodic rock explored in "Gone," "It's Not Over" and "Crashed" (the night's opening selection), and his hardest rocker, "What I Want." Guitarists Jeremy Brady and Josh Steely, as well as drummer Joey Barnes and bassist Josh Paul, looked as thrilled to be there as Daughtry, and all played well together. Early in the set, Daughtry showcased his confidence. In "Used To," he used his soaring tenor without bombast, even while walking up to the front to reach out to fans. And the biggest surprise was to come: The group dealt a knockout with a mostly faithful and compelling version of U2's "Sunday Bloody Sunday." And while there were occasional lulls between songs while equipment and instruments were adjusted, such is understandable as this unlikely young band embarks on its first tour in the wake of almost-instant success. Indeed, Daughtry might well have been thinking he and his band were playing at nearby Disneyland as part of some kind of fantasy, rather than before 1,000 or so enthusiastic fans. 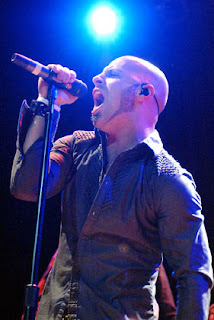 "This is our biggest show yet; thanks so much," Daughtry said early on. And he continued to thank the audience throughout the night. The evening kicked off with a 30-minute set from Baltimore-based Cinder Road. 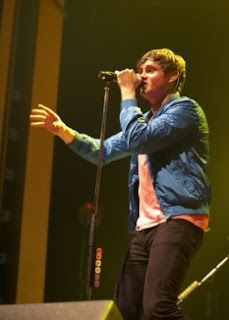 Thanks to strong songs such as "Should've Known Better," "I'm So Sorry" and "Get In Get Out" – delivered by energetic singer-guitarist Mike Ruocco, fiery lead guitarists Pat Patrick and Chris Shucosky, drummer Mac Calvaresi and bassist Nat Doegen – the band's accessible material boasted solid songwriting, catchy choruses and powerful musicianship recalling Sister Hazel or a hard-edged Toad the Wet Sprocket. Sadly, New York City quartet Eve to Adam failed to justify its position on the bill. With the exception of the hard-rocking "Rise" and folk-rock tune "Comin' Home," the set failed to deliver anything approaching the strength of the opening and closing acts.